The following article is contributed by Yue Lynn. 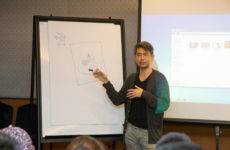 Long after CAFKL 5, I managed to squeeze in some precious time to talk to unnamed, a regional online collective that seeks to introduce and connect Southeast Asian comic creators with Earth’s mortals. If you, my dear reader, are a comic creator (Southeast Asian or not), better strap in and get comfy as what entails in this article may prove hashtag insightful. Formed way back in 2013 and armed with a mission to “cultivate the positive growth of the regional comics scene”, unnamed’s creators do engage in several endeavours to further push their comic world-conquering agenda into the public sphere. Their endeavours include organising ambassador booths, giving talks and building a support network. Furthermore, unnamed does have plenty more tricks up their artistic palette so you can bet that you will probably be hearing more from them in the near future. 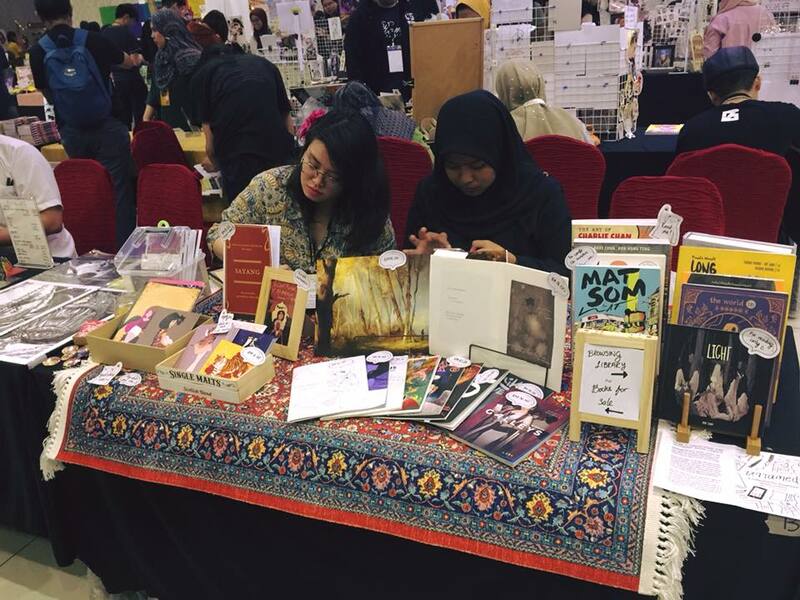 During CAFKL 5, unnamed made their mark by giving two panel talks (Comics in SEA and Getting Published) and organising an ambassador booth where a bunch of comics by SEA creators were showcased and sold. The team behind unnamed is comprised of a few prominent creatives, namely, Sarah Joan Mokthar, Reimena (Ashel) Yee, Amanda Nelson (Memai), Max Loh and Stephani Soejono so brace yourself for a wholesome interview! What was the reception/response towards unnamed’s ambassador booth? 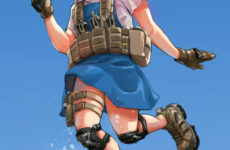 MEMAI: So far, pretty positive! There’s definitely a warm reception to our little collective and what we’re trying to do, which is super encouraging! MAX: Since the group has been growing by word of mouth, when word got out that we’d be having our very first ambassador booth at CAFKL, the response has been pretty stellar! REI: Really great! We had some wonderful conversations with creators and other professionals of the comics scene about what our collective could provide. Lots of people dropped by our booth too to browse our diverse library of Southeast Asian comics, which is a pretty awesome start already! Introduction is the first step. STEPHANI: I wasn’t really at the booth often but it seemed like we were warmly received. SARAH: It’s been very heartwarming and encouraging. The artists, writers and professionals we have interacted with so far online and in real life are really excited at the opportunity to be a part of the greater South East Asian comic community via this artist collective and having the platform of Ambassador Booths to begin sharing their work at internationally within the SEA region! What were the key takeaways obtained from organising the ambassador booth? MAX: I only managed to attend Day 2 of the event, so I didn’t have much time to spare at the ambassador booth, but from what I’ve heard, the sales of the books at the booth were good, and there’s definitely a sizeable group of readers out there interested in regional comics content! REI: The reasons why the ambassador booth exists were to address issues of accessibility (in terms of finances, travel and schedule) that would prevent an artist from appearing at a convention. We represented 5 artists who were overseas, and it was a pleasure helping them get their work out there in front of people who wouldn’t have known them otherwise! The key takeaway was that the concept works haha. STEPHANI: I think the most interesting part of this is learning how to present other people’s work as well as yours and make sure you keep tabs on what is what and just being diligent and responsible really. SARAH: Readers will buy what they find eye catching and interesting, regardless of the country of origin. It’s refreshing to see content from other Asian countries and it really makes one want to up one’s game when you see what shockingly good content is being produced! What was the reception/response towards unnamed’s two CAFKL panels (Comics In SEA and Getting Published)? MEMAI: Definitely positive. In my opinion, I don’t think there are enough avenues for local artists in the region to really branch out and get published in the traditional sense. So having talks where artists can ask their peers for advice and tips is a good way to build that bridge. Especially since there are platforms like social media, webcomics and more to consider. Artists need to support each other, after all! MAX: Speaking from my experience as the moderator for the Getting Published panel, the response from the crowd was definitely above my expectations as I wasn’t expecting a full house, especially for a final closing panel for a 2-day event! The audience response was great too! We had more questions than we had time to answer, and one of the audience members who had a list of unanswered questions ended up joining the Facebook group after the event and asked those questions in the group! REI: It’s pretty good, I would say. People who attended our panels found it useful and mind-opening. STEPHANI: A lot of people seem to enjoy it! I also think there is the novelty of seeing regional creators who hadn’t been as exposed in Malaysia and how comics has evolved in all 3 countries. SARAH: The audience seemed alert and very interested to hear what we had to say. Seeing comic artists from 3 different Asian countries on one stage talking about the industry from their perspective created a lot of fun banter, which got some laughs. The questions raised by the audience were very interesting too. They were genuinely curious about what genres were hot in other countries, and how freedom/censorship differed geographically. What were the key takeaways obtained from conducting these panels? MEMAI: Personally, I think it’s a great way to actually talk about the unique experiences Southeast Asian creators face. There aren’t a lot of local avenues (in Malaysia, anyway) for creators to get their work out there through traditional means, but it’s a pretty daunting task to try reaching out to international publishers too, because the competition pool just got a whole lot bigger. So being able to give them a place to ask their questions and field for advice is a great start to our overall mission. MAX: I think there’s a growing need for avenues where creators in the region can turn to for reliable advice and support, whether it’s within their home countries or a regional effort. Granted with the internet there’s a wealth of information and opportunities which are opened up to us, but it’s never framed from the South-East Asian perspective and the unique challenges we face. I think it’s safe to say that everyone in unnamed is just trying their best to help create this organic social network before aiming for something greater! REI: There is definitely an interest in learning about the ins and outs of producing a comic, that go beyond writing/drawing. I feel like it can be very difficult – especially for a newbie in Southeast Asia – to find relevant information, since most advice is American-centric and tailored to the specific context of the Western publishing industry, and so the panels we hope to organise in the future will be that guiding light. STEPHANI: Hmmm. I hesitate to say I wanted a longer session but we could have included the audience more, and do more for the Q & A, maybe. SARAH: The key takeaway for me is that Southeast Asian audiences *are* interested in hearing more in-depth talks regarding the Southeast Asian comic industry. They want a better, clearer picture of what opportunities and challenges lie ahead. They want to be exposed to fresh, exciting writers and artists they haven’t yet heard of and they want to know hard facts, numbers, statistics too. This could be a whole event in itself, one revolving around discussion, but as it is complements existing comic related events nicely. What other topics would unnamed like to explore in future panels? MEMAI: I can only speak as a webcomic artist, so no surprises here: Webcomics! It’s become a more viable way for artists to make a living and to get their work out there, and it all starts with free services and platforms (EX: Griefer Belt and Check, Please! both started as webcomics on Tumblr) That’s definitely something I want to explore in the future. MAX: I would definitely like to explore more on topics related to balancing one’s artistic pursuits with other aspects of one’s life, especially when comics isn’t the source of one’s income or livelihood! REI: I’m really nerdy so I would love to have a panel or a workshop dissecting the art of comics-making: composition, layout, colours, pacing etc. Basically, a panel about the possibilities and strengths of this medium. It would also be useful to do a panel on preparing comic files for printing. STEPHANI: Selfishly, I want to interview the folks who did Gila Gila, older cartoonists and maybe do a workshop with beginners. SARAH: I’m definitely into topics that cover the idea exchange and cultural collaboration/connection aspect of comic creation, events where artists of different nationalities work together on common objectives, how the cross-fertilization of ideas across borders overlaps/share common roots, camaraderie between artists and the social benefits to the individual and the greater community. Any plans for future local/international event appearances? MEMAI: Definitely! So as long as the host event is willing to have us over haha! We’re starting small first, but we hope to work our way up to regularly make ourselves seen at other conventions/events. MAX: I think there’s no question that we’d love to grow and attend future events, but we’re still in the midst of coming up with a sustainable ecosystem where we won’t have to dig into our own pockets to fund unnamed’s event appearances. Any kind sponsors and donors out there (hint hint), we’d love to hear from you! REI: Of course! I’m currently working to promote unnamed’s existence in the wider comics industry through social media. There are already organisations like French Comics Association who do similar outreach work as us (promoting regional comics and making interregional connections), attending a variety of international conventions, both publishing and comics. I would love to get unnamed to that level one day. STEPHANI: We are trying to do more of those but can’t say because it’s still being planned. SARAH: Yes, there are definitely plans and we are open to considering invitations and collaborations, both regionally and internationally. Currently, does unnamed has any future collaborations that you can tease about? MEMAI: Nothing we can say yet 😉 We do plan on one day hosting a residency for our regional artists, but that’s about as much as I can say for now hehe. MAX: What MEMAI said. We’ll be sure to keep everyone posted once the details have been firmed up! REI: This team is rich with ideas and motivation, and there are some ideas (besides the residency) in the works. STEPHANI: Hahaha. See how lah. Since unnamed’s CAFKL appearance, have you been approached by fellow creatives? MEMAI: From what I’ve seen, we’ve definitely had an uptick of new members and fellow artists becoming more curious about our mission and goals. Southeast Asia is a region that flies under the radar, creatively especially, so to have a collective that talks about our own unique cultures and experiences when it comes to comics? I can definitely see the appeal to other users, especially in a globalizing world where we really do feel it’s an us against the world ordeal in order to get our work out there. MAX: So far nobody has approached me personally, but as I’ve mentioned above, there has been crossover interest from our panels into participation in our Facebook group, which I’d say is a good start in building bridges within the community. REI: I’ve had communications from a couple of other conventions who are interested in inviting us to table at their events. That is all I can say. STEPHANI: A few artists in Indonesia are starting to be interested in us. Azam Raharjo and Rimanti Nurdarina Baga is quite happy with how we have handled them and they want to continue. SARAH: New members are reaching out to us almost every day on our online platforms , it’s dizzying to see so much talent in one place. It’s wonderful to be approached by creatives eager to learn and share. Does unnamed has any plans to work/collaborate with local and Southeast Asian publishers? 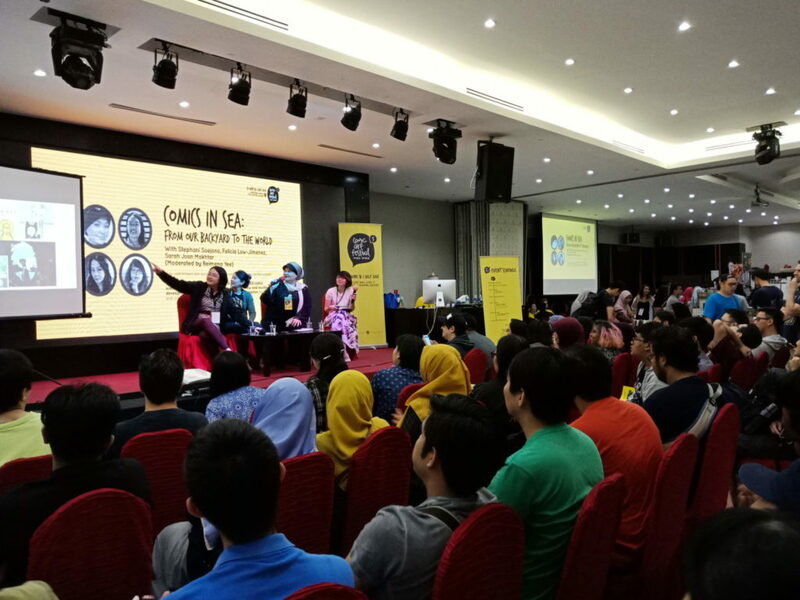 MEMAI: That’s definitely a goal for us, as we do want to work with our local publishers in the region to help bring SEA comics into the spotlight. Little steps though! And we’re always open to new ideas and opportunities when they present themselves. REI: We do! 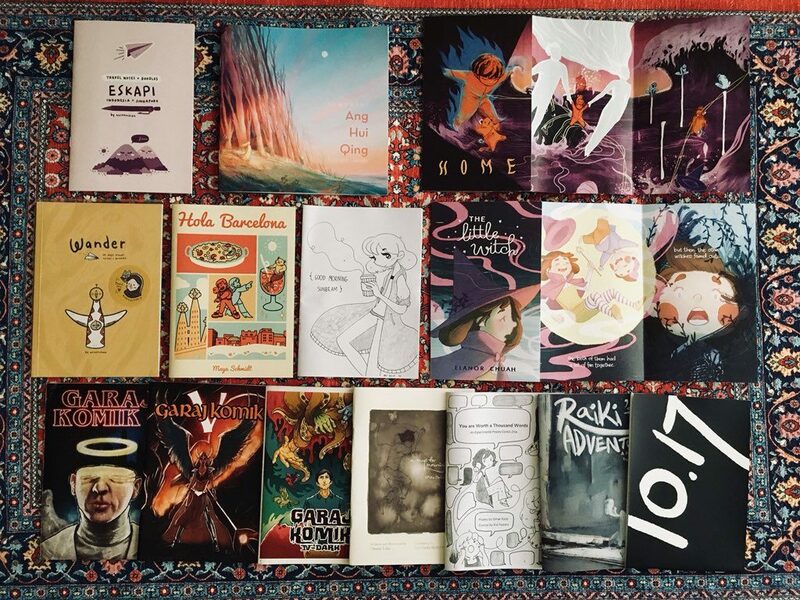 We’re making the slow but steady step to establish our own small press, as well as partnerships with established publishers both local and international. I don’t want us to rush too fast especially since we’re a small team with lives and full time jobs, but eventually it will happen. We just have to be patient and thorough. So there you have it, folks. Louder for the people at the back, unnamed is doing God’s work. To learn more about unnamed, you can check out their official website, Twitter and Facebook group. Pretty sure this bunch won’t bite ya! Yue Lynn is a devourer of pop culture and geeky stuff like comics, anime, manga and video games! You can follow her on Twitter for more shenanigans! 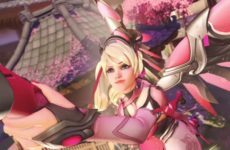 ‘Pink Mercy’ Receives The Fanart Treatment From Supporters Across The Globe!